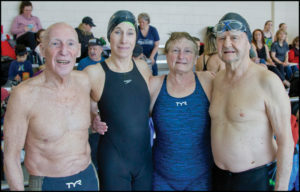 Ninety Masters swimmers signed up for the Oregon City SCM meet the weekend of March 9 and 10. Meet Director Tim Waud did an outstanding job of hosting this joint meet for USMS and USA swimmers. For some, this meet allowed them to compete alongside their children albeit in different heats. The pool, outfitted with new starting blocks and new lane lines, left swimmers very few excuses for not swimming fast! Many swimmers were here for a tune up before heading to Spring Nationals in Mesa, AZ, next month. The amazing team of Willard Lamb (97), David Radcliff (85), Janet Gettling (71), and Margaret Toppel (71), combined to set two new FINA World records in the mixed 200 SCM free relay with a time of 2:35.65, and in the mixed 200 Medley Relay with a time of 2:57.97. Both records were in the 320-359 age group. David Radcliff went on to set his own National record in the 200 freestyle in the 85-89 age group. Holly Vaughn-Edmonds made a rare appearance and set a new Oregon and Zone record in the 55-59 age group with a time of 5:01.21. For more results please check this Aqua Master. It was great to see Valerie Jenkins (Oregon Reign) on the pool deck again after several years of not competing. Anyone who watched her swims knows she is back and means business! 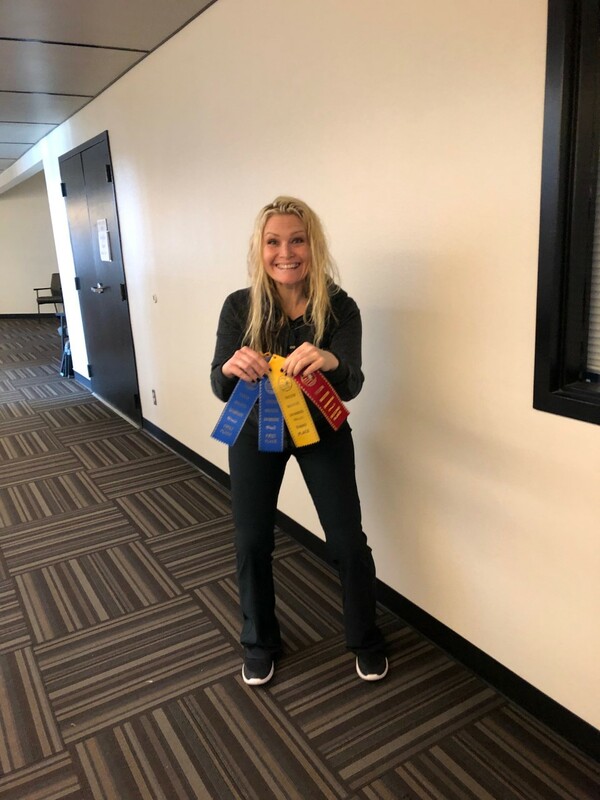 For Robin Warren, age 40, this was her first Masters meet and her first time competing since high school! Robin Warren – her first Masters meet! We were also joined by an Adaptive Sports team from Portland, the Portland Piranhas, which is run through Adaptive Sports Northwest. With this meet format we had the opportunity to participate with swimmers ages 8 – 97 and everything in between. Not only is this inspiring but it proves that swimming is for life. 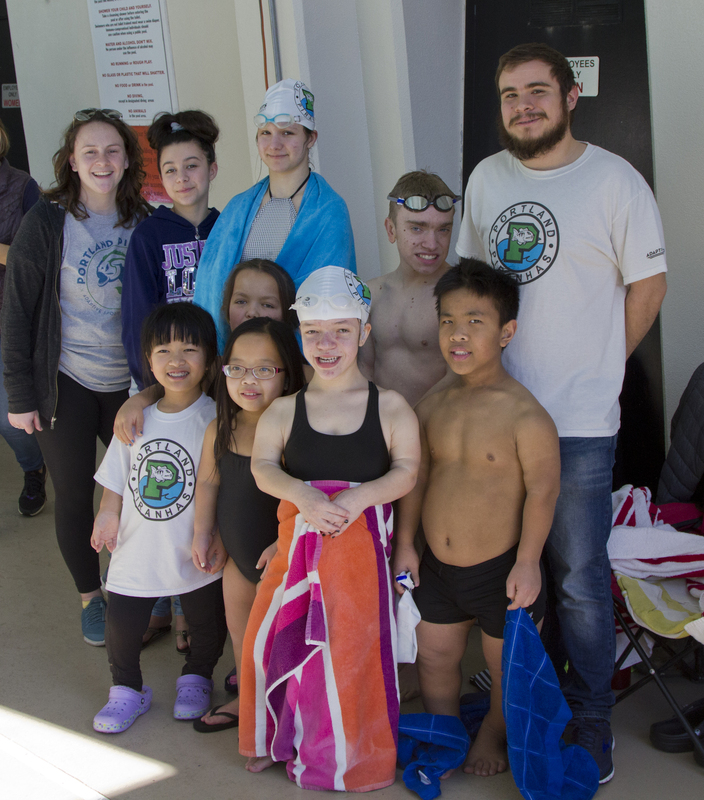 Oregon City does a great job showcasing the large spectrum of swimming at its best and the benefits the sport can bring to everybody regardless of age, ability or level of fitness.